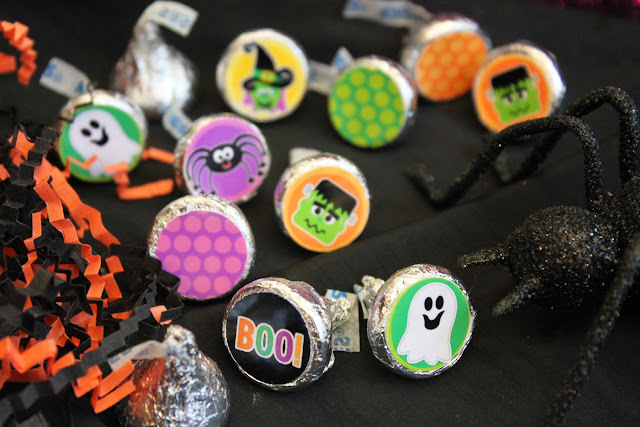 Amanda's Parties To Go: FREE Halloween Hershey Kiss Printables! 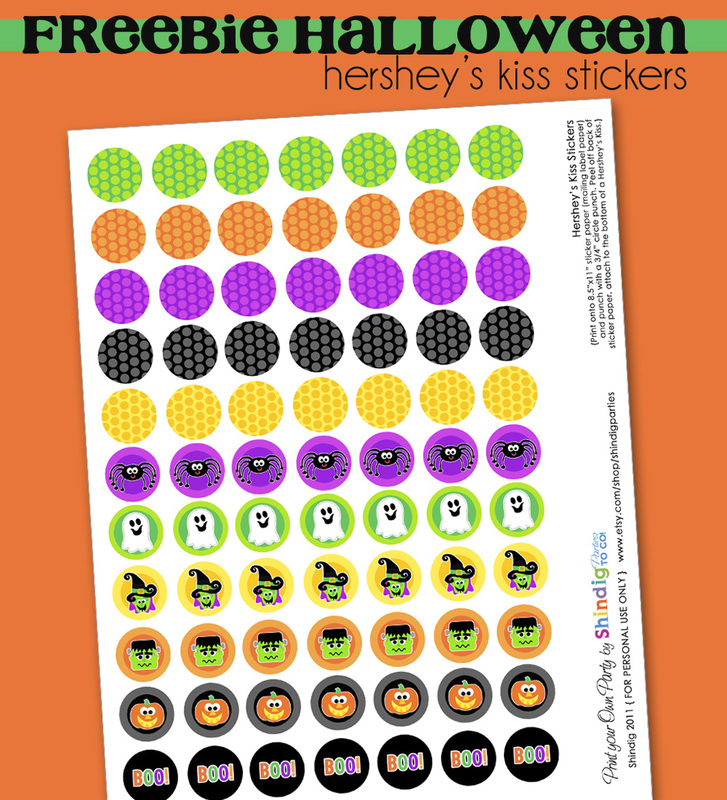 There are so many ideas to use these little kiss stickers! 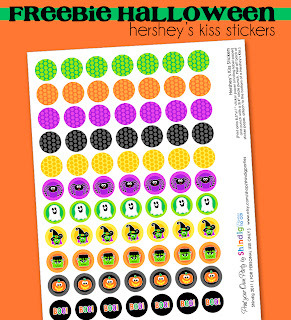 **Highly recommend purchasing sticker paper from Onlinelabels.com. It prints vividly even on an inkjet printer. I use the full sheet 8.5"x11" white glossy paper found HERE. STEP 1: Download your HALLOWEEN Freebie Hershey Kiss Set. Set your printer to a borderless 8.5"x11" or full-bleed letter paper printer setting. STEP 2: Cut the page into strips with scissors, cutting close to the circles so that you can punch them with your 3/4" circle punch. Thank you so much for this post. 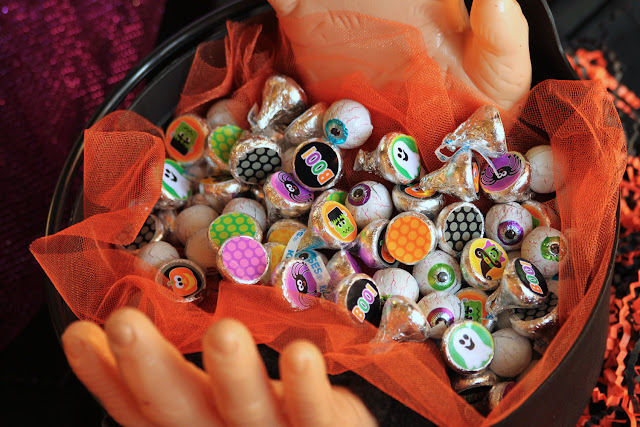 I want to let you know that I posted a link to your blog in CBB Digital Scrapbooking Freebies, under the Page 2 post on Oct. 04, 2012. Thanks again. Thank you so much for this post. I want to let you know that I posted a link to your blog in Creative Busy Bee Craft Inspirations, under the Page 1 post on Oct. 04, 2012. Thanks again. What if you do not have a facebook page? Why can't you offer it to everyone that reads your bolg daily? The pearl necklace is adorable! I would love to have my pearl necklace wear that. I love the black pearl set, really wish we sent for it since it's sooo cute! big hoop earrings we bought about 1.5 months in advance since she probably won't grow too much in that time period.